BookIsh Plaza eZine April Issue 2014 is out! Read the new BookIsh Plaza eZine April issue now! 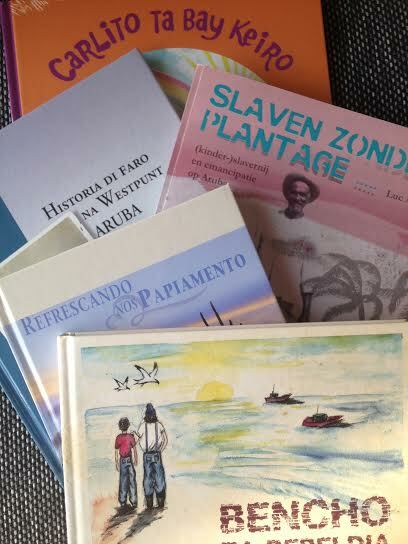 In the Picture has a special feature of the new Bencho children´s book in Papiamento. We hope you like the eZine and do share it with literary lovers. 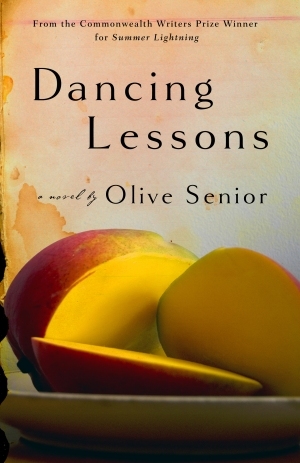 Prize-winning Jamaican writer, Olive Senior, will launch her first novel, Dancing Lessons, on Sunday, December 11 at the University of the West Indies (UWI), Mona campus. The launch will be held at the Neville Hall Lecture Theatre and will begin at 11 a.m., Jamaica’s Gleaner reports. Dancing Lessons is sad, satirical, hilarious, and ultimately redemptive. A novel infused with the cadences and colour of Jamaica yet connecting with anyone anywhere who engages with notions of family, love, loss, friendship and belonging. This new novel is further acknowledgement of Senior’s prodigious talent. Since publishing her first poetry collection, Talking of Trees in 1985, Senior has published three other well-received poetry collections. Gardening in the Tropics won the F.J. Bressani Literary Prize, while Over the Roofs of the World (2005) was shortlisted for Canada’s Governor General’s Literary Award and Cuba’s Casa de las Americas Prize, and Shell (2007) was shortlisted for the Pat Lowther Award. The BookIsh Plaza Team is proud to announce that our very first BookIsh Plaza Ezine is out; the new ezine on (Caribbean) literature, poetry and non fiction books. This ezine will be coming out each month with interesting books and news on the (Caribbean) bookfront. In this issue we have news of a booklaunch coming up this week, new arrived books at BookIsh Plaza, the developments around the novel Verborgen leegte, the upcoming UniArte Expo, in depth poetry in Spiel di mi Alma and much more. We are sure you’ll enjoy our first issue. 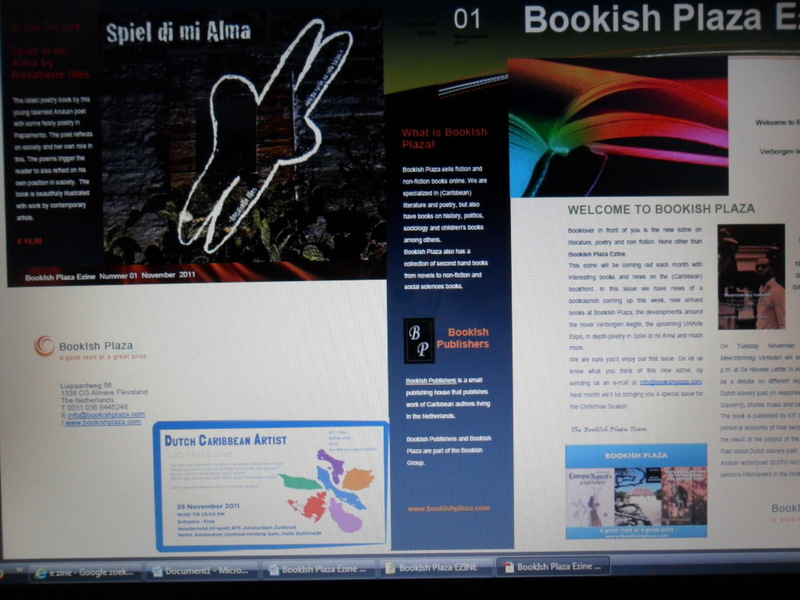 Do let us know what you think of this new ezine, by sending us an e-mail at info@bookishplaza.com. Next month we’ll be bringing you a special issue for the Christmas Season. Feel free to pass the ezine on to persons who may be interested. On tuesday November 15th the book Meerstemmig Verleden will be presented at 8.00 p.m. at De Nieuwe Liefde, Da Costakade 2, Amsterdam. 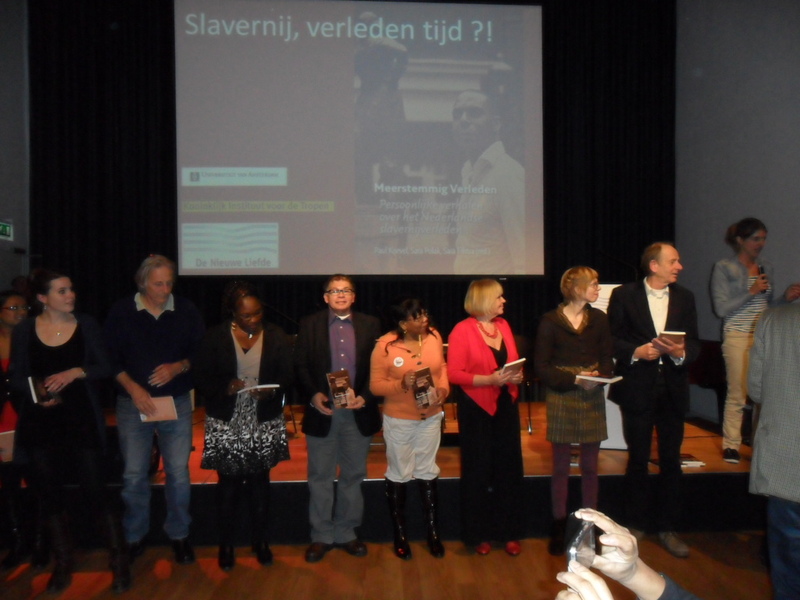 There will be a debate on different representations of the Dutch slavery past (in response to the tv series De Slavernij), stories, music and cabaret. 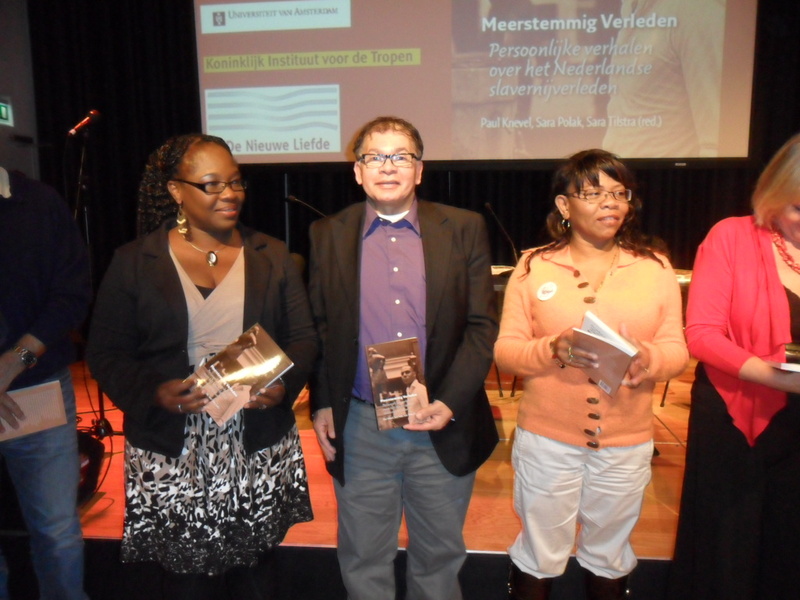 The book is published by KIT Publishers and gives personal accounts of how people view slavery. 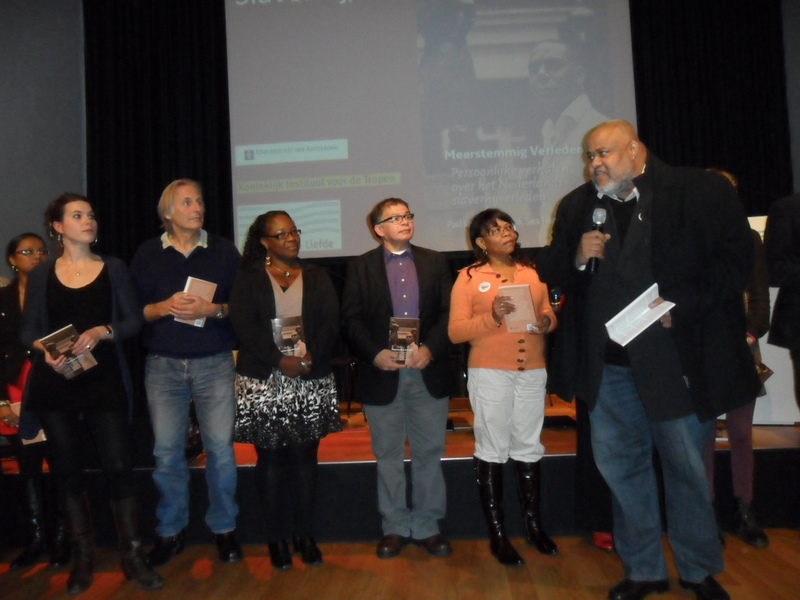 It is the result of the project of the Foundation Colorful Past about Dutch slavery past. Aruban poet/writer Quito Nicolaas is one of the persons interviewed. He emphasizes the responsibility of the Creole-Surinamese community in gathering personal stories of the slavery experience. Helga Fredison put the emancipation struggle of her famous great-uncle Anton de Kom and Eddy Caffé is still deeply connected to the Church where his great-grandfather worked as a slave. 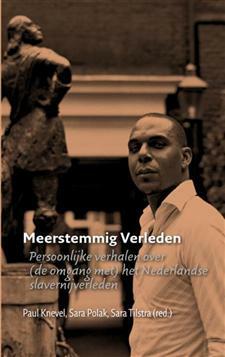 By accommodating these personal stories creates a nuanced picture of the legacy of the Dutch slavery past. A nuance that is lacking in debates. 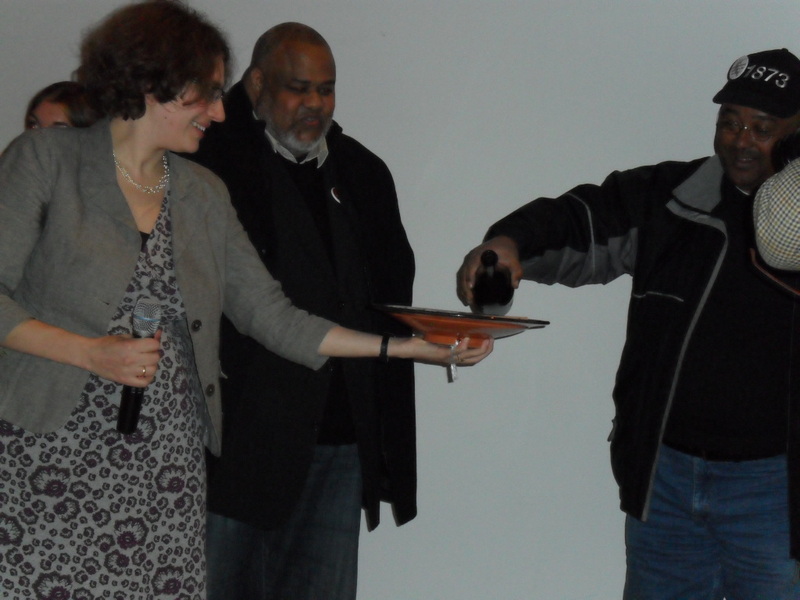 Last Friday november 4th saw the booklaunch of Kwelgeesten rond de kapokboom by author Charlotte Doornhein and visual artist Frouwkje Smit who sketches with the crossover novel and the art video, exceptional stories that take place around a nature reserve in Curaçao where in ancient times Indians lived. 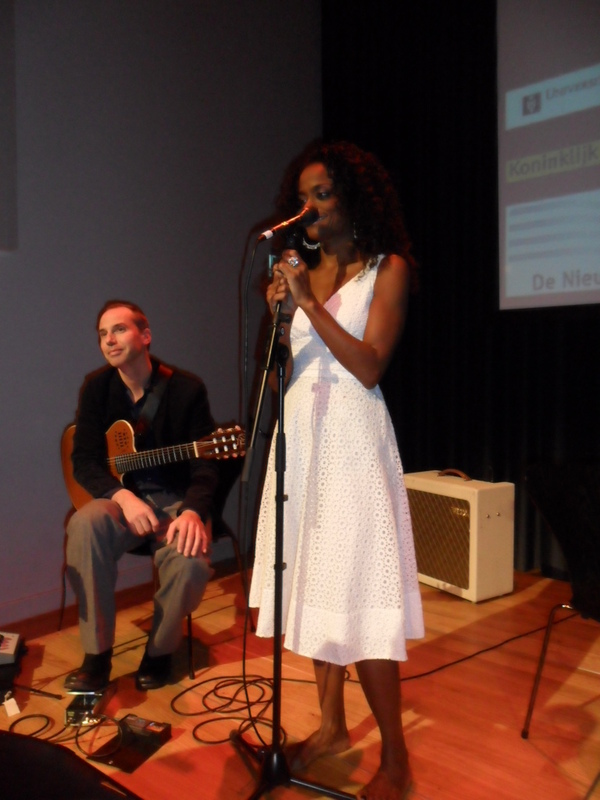 Doornheim is also the organisor of the Festival Literaire Tippel Zone on Curaçao. A festival that attracts thousands of visitors each year-young and old. The name Charlotte Doornhein guarantees mystery and innovation in art & literature. The presentation will be made on Thursday, 10 November 2011, at the Center for Puerto Rico, at 7: 00 pm. LuzAzul, published under the label of Isla Negra Editores, involves in its plot vivid and ambiguous love, during the University strike of the year 2010.Antonio Aguado Charneco, a writer awarded by both national and international cultural institutions some of which are: UNESCO, the Puerto Rican Ateneo, the Institute for literature, Los Juegos Florales de San Germán and the circle of writers and poets Iberoamericanos. 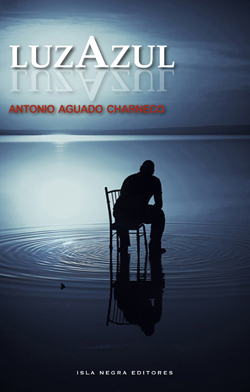 Among others, Antonio Aguado Charneco has published the books Anacahuita: Florespinas (2006), Ouroboros: seis cuentos (1985), Bajarí Baracutey: El taíno de la cueva (1993), and Sendero umbrío (1997).